Alex Lifeson, Geddy Lee, and Neil Peart performed together for the first time to an audience of 11,000 people in 1974. Forty years later, their last tour sold over 442,000 tickets. This is the story of everything in between. This is the story of Rush. Fondly known as the Holy Triumvirate, Rush is one of the top bands to shine through rock-and-roll history. 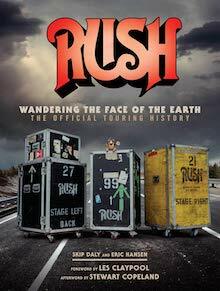 Wandering the Face of the Earth covers Rush's storied touring career, from their humble beginnings as a Toronto-area bar band playing middle school gymnasiums to their rise as one of the world's most sought-after live acts, selling out massive arenas around the globe. This book includes every setlist, every opening act, and every noteworthy moment meticulously researched and vetted by the band themselves. This is THE must-have tour compendium for Rush fans. Fondly known as the Holy Triumvirate, Rush is one of the top bands to shine through rock-and-roll history. 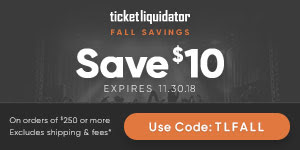 Wandering the Face of the Earth covers Rush's storied touring career, from their humble beginnings as a Toronto-area bar band playing middle school gymnasiums to their rise as one of the world's most sought-after live acts, selling out massive arenas around the globe. Filled with painstaking detail, this book includes every set list, every opening act, and every noteworthy moment. This is THE must-have tour compendium for Rush fans.